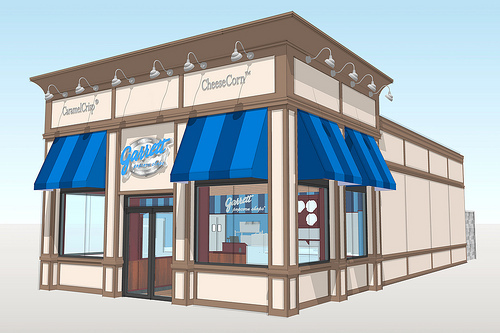 We’re pleased to announce that Garrett Popcorn fans on Chicago’s South-side will have a new store coming this Fall. There will be firmer dates and more details once filing and construction is under way, but in the meantime here’s a mock-up of what the new store will look like. We hope you’re excited as we are about moving into the Chatham neighborhood! Garrett Popcorn Shops had posted a comment in a recent post about whether or not Garrett's is coming to Chatham.